None of us is getting any younger, and getting into and out of standard cars starts to become an issue as you age and your joints start to ache. We’re not there yet, but no doubt will be some day. Car technology has advanced in leaps and bounds in the 20 years since my husband bought his last car, and if we’d kept that car for another 10 years, there’d be 30 years of technological advances to have to learn with any new car he bought. Better to bite the bullet and trade up into a more modern car now while we are in control of the learning curve than to be forced to if the old one broke down and wasn’t worth repairing. His 20-year old car was starting to cost us — we’d had the engine mounts replaced in the past year, and a few other things. And the cost of the annual insurance was almost as much as the value of the car too! His new car’s insurance is actually LESS than that for his old car. He traded his 1998 model Mazda 626 Classic Sedan for a Mazda CX-5 Touring model. And it’s very nice!!!! 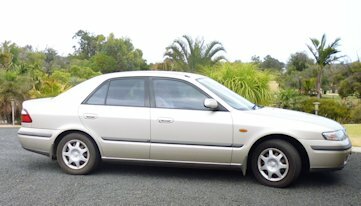 In the almost 20 years (April 1998 to December 2017) he had the 626, he drove 183,466 km in it (114,000 miles). At least 70% of those kilometres were driven in the first 10 years when we lived in Perth and he was commuting to work. The car didn’t get driven as much once he retired and we moved to the country in 2007. But it was a good and faithful servant, giving us basically no bother at all. 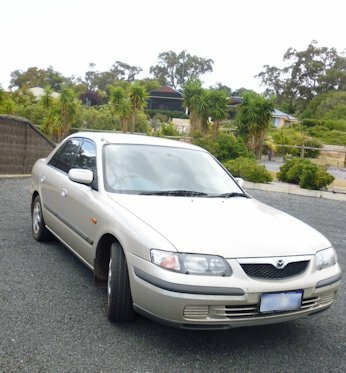 It was sad to say goodbye to it, but we’ve stuck with Mazda as our previous experience with the brand has been very good (I had a Mazda Astina from 1997 to 2012 and only changed because I had an offer ‘too good to refuse’ to purchase my current car). Here’s hoping the CX-5 also gives us 20 years of great service. We recently bought a new-to-us car replacing one with 240,000 miles on it. It is hard to say goodbye sometimes, but it is good to say hello to a new friend, too.